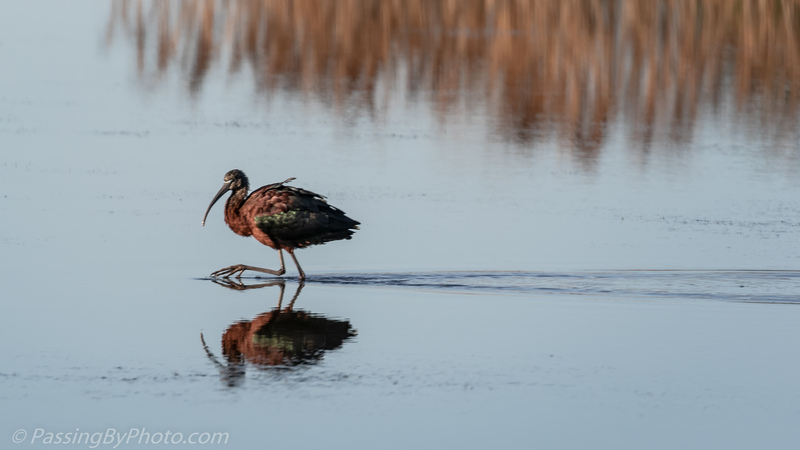 I’ve only seen Glossy Ibis a few times in South Carolina and was surprised to come upon this one feeding in an old rice field pond at the end of February. 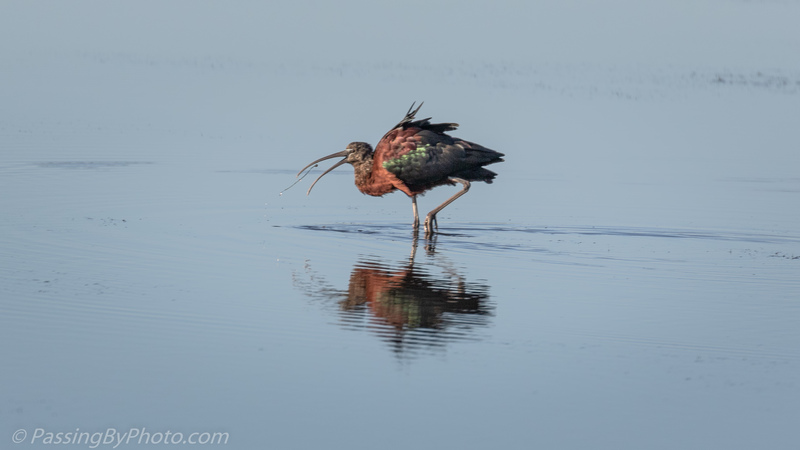 Ibis will eat about anything they find while probing mud or wetlands. 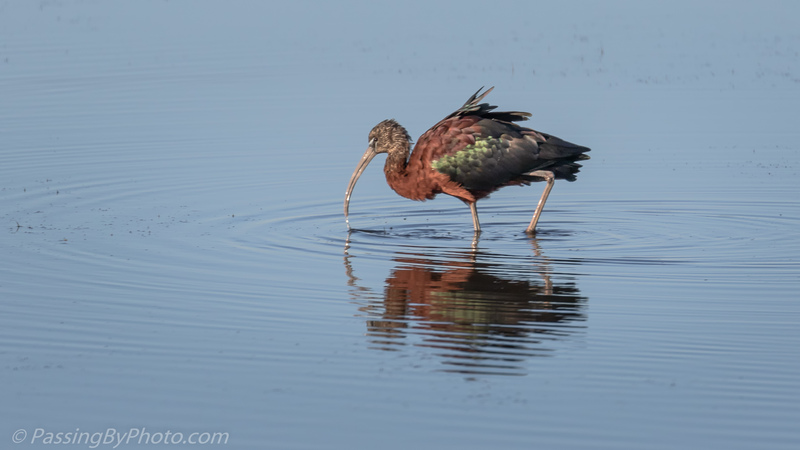 When they turn in the light the Glossy Ibis’ colors are spectacular. This is a gorgeous bird if you can see them in the right light.